Since 1998, the flagship project of the Asian Pacific American Legal Resource Center has been its multilingual legal helpline. The Helpline serves low-income and limited English proficient Asian Pacific Americans in the D.C. metropolitan area. 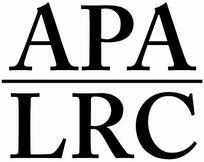 About 25 bilingual law students volunteer with the APALRC to assist Helpline callers each semester. When an individual calls the Helpline, an APALRC volunteer conducts an intake interview in the caller’s native language. Helpline assistance is free of charge to its callers, but the level of service the APALRC provides depends on factors such as the caller’s legal issue and household income. The APALRC often refers callers to other legal service providers, and staff and volunteers work to ensure that a caller is able to access legal assistance after the referral is made.